Apple finally released it’s highly anticipated iPhone 4s. With all of it’s great new features built into the OS including Siri. Well those are all fantastic but I want to talk a little more about the phone’s camera, specifically the video capabilities. With this new improved camera comes 1080p HD video at 30 frames per second. It also touts a new sensor illumination, and larger aperture to let in even more light. This means it’s even better in low light settings. It also features a new auto white balance, and new temporal noise reduction. 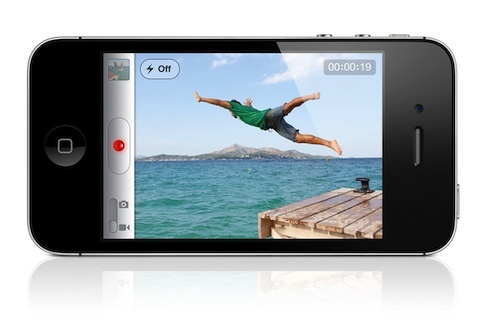 The iPhone 4S also has a new stabilization feature that removes shaky cam, or jittery video from lack of support. Now pair that with editing from Apple’s iMovie or even the excellent free app Splice Editing, and you now have a powerful tool. I have seen some great shorts from independent filmmakers that have used the iPhone 4 to create some fantastic films. Now with this new camera built into the iPhone 4s, I can’t wait to see what other short films get produced and put up. What do you think? Is this becoming a new way of filmmaking with these smaller tools, or is these just a gimmick to sell more devices? *Want to learn more. Join Tej Babra at Intel Canada’s Facebook page for community, conversation and more!